Perfect for clearly visible nozzle checks. This fluid is for pigment ink setups. Cleaning fluid is great, but difficult to see. 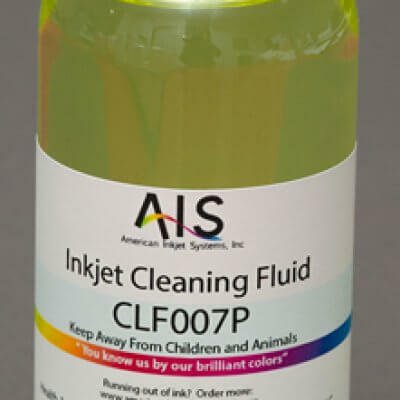 If you think you’ve cleared your clog but want to be sure without running expensive ink for a test, swap in our tinted CLF008P. 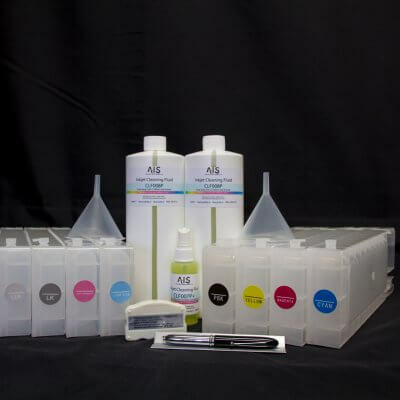 This cleaning fluid is tinted with ink suitable for pigment ink setups. On your nozzle check, you’ll be able to clearly see which nozzles are firing and which aren’t. 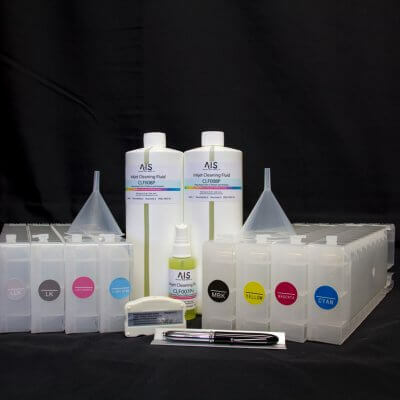 American Inkjet System’s tinted line cleaner is great for detecting clogs and broken print heads.